This page is best viewed with medium text size. Click here to send Questette a neomail. 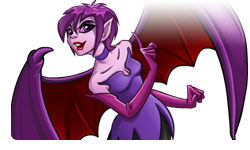 This page is free to use and to share within the neopets site. No permission from Questette is required. This page is planned to be updated as needed, approximately every 60 days or so. Please do not copy any significant portion of this page and then claim it as your own. DISCLAIMER : This page may not be 100 percent accurate. This page lists the quest items that may be asked for by the Air, Dark, Earth, Fire, Light, and Water Uber-Faeries. These six Uber-Faeries randomly give out quests, and ask for an item that has a rarity value of 69 or less. 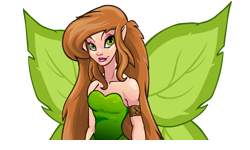 Click here to learn more about the faeries that live in Neopia. If you are NOT on a quest, you can use the Super Shop Wizard (premium users) or the Shop Wizard (all users). You can use the Auction Genie or search the Mystery Island Trading Post. You can search The Neopian Marketplace, the Mystery Island Marketplace, the Haunted Marketplace, or in any user's shop. You can try to find the item in the Neopian shop that originally stocks them. These shops are listed in the individual quest item sections below. You can neomail a friend, ask for help on your guild's message board, or ask for help on the Quests NeoBoard. If you have the item in your safety deposit box, you can remove one and place it in your inventory. NOTE - If you are asking someone for help in finding a quest item please remember to ask nicely and to be patient. Please be careful to not overpay for any quest item. Some user shops do have prices that are much higher than others. During a Uber-Faerie quest you cannot use the Super Shop Wizard (premium users) or the Shop Wizard (all users). To complete a quest, the requested item must be in your inventory. It can not be in your safety deposit box. To complete or decline a Uber-Faerie quest, or to check if you are on a quest, you need to go to the Faerie Quests page. There is no time limit to complete a Uber-Faerie quest. You may decide NOT to complete a Uber-Faerie quest. If you decline a quest, you will not be granted any Uber-Faerie quests for at least 600 seconds (ten minutes). You will not be able to complete a Uber-Faerie quest if you are currently in a battledome fight. 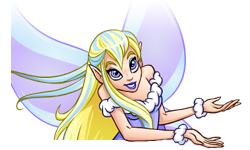 The air faerie will ask for a GROOMING item to complete one of her quests. 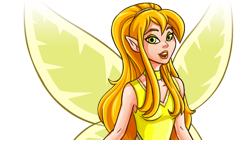 Completing an air faerie quest will increase your active pets movement stat by a plus two. There are 160 air faerie quest items as of July 21, 2012. The dark faerie will ask for a TOY item to complete one of her quests. 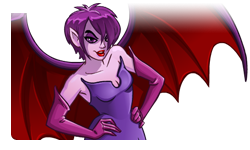 Completing a dark faerie quest will increase your active pets maximum hit point stat by a plus two. There are 226 dark faerie quest items as of July 21, 2012. The earth faerie will ask for a MAGIC ITEM to complete one of her quests. C. Increase your active pets strength stat by a plus two. 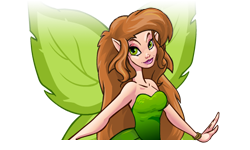 There are 14 earth faerie quest items as of July 21, 2012. The fire faerie will ask for a CLOTHES item to complete one of her quests. 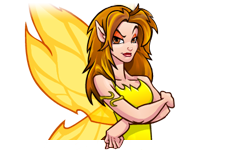 Completing a fire faerie quest will increase your active pets strength stat by a plus two. There are 35 fire faerie quest items as of July 21, 2012. 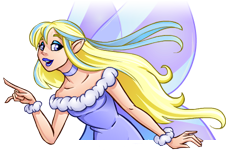 The light faerie will ask for a COLLECTABLE CARD item to complete one of her quests. 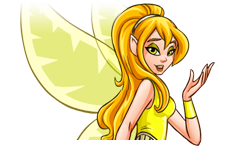 Completing a light faerie quest will increase your active pets level stat by a plus one. There are 175 light faerie quest items as of July 21, 2012. 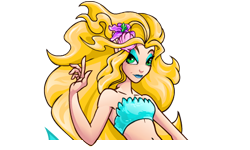 The water faerie will ask for a BOOK item to complete one of her quests. 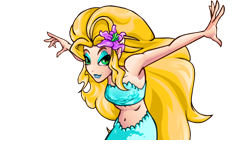 Completing a water faerie quest will increase your active pets defence stat by a plus two. There are 218 water faerie quest items as of July 21, 2012. 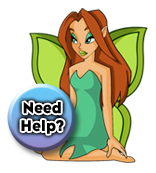 The displayed codes on this page are free to use and to share within the neopets site. No permission from Questette is required to copy any of the displayed codes. You may copy and paste any of the displayed codes into your shop's description, your user lookup (about me section), your pet's description pages, your pet's page (use edit option), your gallery, and/or your guild's homepage layout. Please do not remove the link to this page from the displayed codes. When you have all of the code highlighted, right-click your mouse and choose the copy option. Using the copy option will copy the code to your clipboard. Then you can paste the code into your shop's description, your user lookup (about me section), your pet's description pages, your pet's page (use edit option), your gallery, and/or your guild's homepage layout by right-clicking your mouse again and choosing the paste option. Using the paste option will move the code from your clipboard to the place that you want the code to be. A special thanks to a close neofriend who greatly helped in the coding of this page. Without your help, this page probably would not exist.